﻿ Boston Black churches, African Meeting House history, black church events, recommendations and locations. Have you ever been traveling when you get the urge to want the sweet, soothing sound of black gospel music in a black church? The desire for it has tourists from Ireland asking us where are the Black Boston churches with the good music. Hundreds of thousands of African Americans visit Massachusetts every year and some have contacted us asking where are the Black churches in Boston. Click for list of referred churches. Twelfth Baptist Church of Remembers MLK 2019. Play video. Filmed Jan 13, 2019, Roxbury Ma. The Twelfth Baptist Church of Boston was the Home Church of the Rev. Dr. Martin Luther King, Jr. 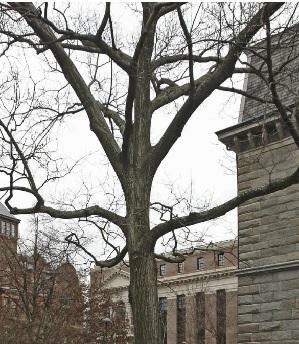 He could walk there from the New England Conservatory of Music where Coretta was studying, its not far away from Huntington Avenue. I don't know if he ever made the journey there on feet, but he was a walker! KING BOSTON at mlkboston.org, the organization funding the $5M Martin Luther King, Jr. and Coretta Scott King memorial installation on Boston Common, has also allocated $1M to community programs at the 12th for teaching folks how to leverage Dr. King's example in the modern age of Trump. You can bet Boston has what you need spirtuality, no matter what faith you worship. The city was founded by adventurous Puritans driven by the purest quality of an imaginary religious freedom. While Dr. Martin Luther King is the unquestionable 20th century reference point for the breakthrough for African America's civil rights restoration, Boston has been the religious reference point for the states, perhaps. Those truth seekers from Boston Lincolnshire England set out in the 1600's and came over here more religious than ever. Black Boston boasts of having the first church contructed by African Americans in 1805 and it is active today on Beacon Hill. This is about history the kids learn early in school. Tour the past and present of American history at Boston, Cambridge, Lexington and Concord. Follow the route of Paul Revere, visiting historic sites, enjoying a narrated tour, and exploring Faneuil Hall and Quincy Market at your leisure. Child rates apply to children ages 3 to 11 and children under 3 are free provided they don´t occupy a seat. Children must be accompanied by at least one adult. If your child will occupy a seat, please purchase a child ticket. Hotel Drop Offs at Marriott Long Wharf, Omni Parker House, Tour Office, Copley Square, Holiday Inn Express, Dorc., Braintree Wood Road, Hyatt Residence Inn and Comfort Inn, Randolph. But to hear that good ole gospel and down home preaching you have to go to the hood or the suburban towns of Milton, Randolph, Stoughton because some black churches moved out of the city or closed down when they lost property to gentrification. Black Boston's Blue Hill Avenue and Washington Street's Codman Square area is dotted with small, tinyu, fiercely independent black church congregations. They co-exist with the largest Black churches in New England on or near those streets. And there are many prominent churches located in Harvard Square, Copley Square and the Park Street areas who have distinctive black leaders overseeing multi-colored congregations. The first black Baptist congregation in North America was organized 1788 in Savannah, Georgia. This claim of "first" is contested by the First Baptist Church of Petersburg, Virginia. RICHARD ALLEN, Philadelphia founder of the 1st Black A.M.E. church in photo.) The African Meeting House was built in 1806 to house the first African Baptist Church of Boston (a.k.a. First Independent Baptist Church) and it is now the oldest extant black church building in America. Moreover, this was the first African American Baptist church created north of the Mason Dixon Line. The church was organized primarily by and for black Bostonians, but not without cooperation and assistance from Boston’s white Baptist churches the National Park Service explains because the building is a National Historic Landmark. web site. The MAAH was fully restored to its 1855 appearance and recently re-opened as a national treasure. Things to do there: No Sunday service is offered but the facility is host to event all year long. It is an anchor to the Museum of African American History, it is hosts to touring school groups studying Bostonm history, the Meeting House holds music concerts with classical and contemporary orchestra; it has been the site of weddings, receptions and visits by dignataries, there are lecturers, presentations, and panel discussions about a number of subjects at the Meeting House. Here are a few broadcasting live on the internet and on air. Boston Praise Radio and TV, Reverend Bruce Wall of Global Ministries - Boston Praise Radio TV. 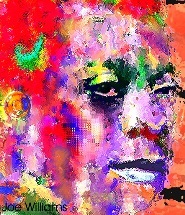 www.churchline.com - is an online directory of African American and Haitian churches and their events. Jubilee Christian Church Boston is the largest Black church in Boston with multiple locations - www.jubileeboston.org. Black churches are invited to send a photo with a short 15 word description about your church or the photo and it may be posted here. Send it to e-mail: Contact@BlackBoston.com. Thank you. The Rev. Richard Allen is credited with founding the African Methodist Episcopal Church known today as Mother Emanuel A.M.E. of Phildelphia and Charleston South Carolina. Both are very active churches today offering regular Sunday service, Internet broadcast service on Sundays and they are pillars of the black church world. Today, there are thousands of A.M.E. churches all over the world. Closer to home in Boston, St. Paul A.M.E of Jamaica Plain and Bipshop Allen Drive in Cambridge are two well known. Charles Street A.M.E. on Warren Street in Black Boston is located in the Grove Hall section. The head of the A.M.E. church organization is at MOTHER EMANUEL in Philadelphia. There is an impressive museum of African American church history and its leadership. Every single bishop since Dr. Allen founded the church is profiled in the museum. Ministers (Bishops) are dispatches to A.M.E. churches located around the world from Mother Emanuel headquarters. The A.M.E. Church is different than the A.M.E. Zion Church. The African Methodist Episcopal Zion headquarters church is located in Brooklyn New York. It is a majestic building. The worldwide members of the A.M.E. church is larger than the A.M.E. Zion church. Pleasant Ridge A.M.E. Zion ( African Methodist Episcopal ) is my family church, thanks to my mom. Why she chose to go there when I was a baby rather to go to one closer to the house name High Springs Baptist church, I will never know, but it is a find choice and my immediate siblings belong to it and are active there today. One sister and her husband founded a church in Myrtle Beach, S.C., and its growing. It was Black Ministers who were meeting with President Abraham Lincoln about what to do about "free slaves." 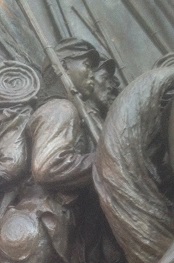 And, they engineered the thinking behind the document commonly known as the Emancipation Proclamation. It was their idea that became Lincoln's legacy. Masses of black people gathered in South Carolina assuming they were to receive 40 acres and a mule. New England abolitionists staffed the project with teachers. Later, the African American AME Zion church was born up north. And the rest is history..
World religions in Greater Boston are: Afro-Caribbean, Bahá'í, Buddhism, Christianity, Confucianism, Hinduism, Islam, Jainism, Judaism, Native, Paganism, Shinto, Sikhism, Taoism, Zoroastrianism and others. 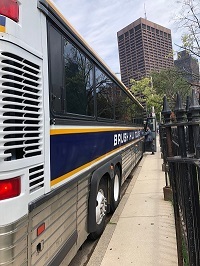 Bus service and transportation is available year round from AboutBlackBoston Getaways. AboutBlackBoston Getaways is booking sightseeing bus trips and guided tours. We sell tours to individuals and groups. Adult per seat pricing is listed on all tours. Child rates are lower. When you are taking a group, we'll negotiate the price. 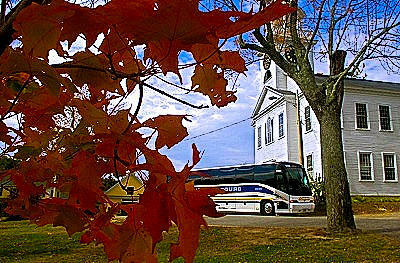 Popular tours include Gray Line motorcoach bus sightseeing tours Spectacular Fall Foliage; New England Seacoast, Plimoth Plantation and Plymouth; The Total Experience Tour and Christmas in Newport. Tours run up to 11.0 hours but some are 1/2 excursions. Our New England Black Heritage Tour Series offers Black Museums,Institutions, Histor and Heritage Trails and more. They are perfect launchpads to exploring African American in New England. I have heard great things about this church. There was a recent live jazz concert at Bethel. It had a good crowd. Most everyone were church members. They were warm and friendly, making a point to introduce themselves to me "the stranger." I went with friends who attend Sundays. The jazz sound and presentation was excellent. The folks behind me made a point to make eye contact and smile. I like the experience. 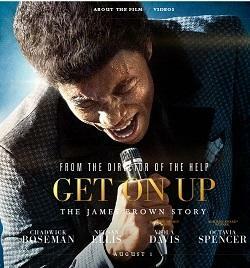 I'll go again and I recommend you do. There is a huge bible in front of the bandstand which serves as the pulpit during day time service. Its one of the biggest bibles I've ever seen! On Boston Common, new public art installations are going in by 2019 and from now until October 16th you can take part in selecting the one you want to see. KING BOSTON is developing the memorial Martin Luther King, Jr., Coretta Scott King memorial installation and community programming that will educated Bostonians and Tourists about Dr. King's shared vision for the world. Of the five designs shown above, one will be selected by the committee and the public for permanent installation on Boston Common. One of the designers was responsible for designing the amazing Smithsonian National Museum of African American History and Culture on the Mall in Washington DC. Advertise in a Webspot on this page. Providing group travelers a number of Boston area lodging options. Reserve a charter bus for trips, tours and sightseeing. Buy discounted tickets direct for admission to Whale Watch boat rides, Duck Tours, History Sites and more. When you have any questions you can pop up our message window online. Share your church information here. Union United Methodist church is a historical black church in Boston's South End. Last time I attended UU, Jesse Jackson was in town campaigning and stopped there to host a fundraiser. It has been so long that I hope it is still there. Motivation Church of Randolph Ma. recently moved to a building in Crawford Square that used to be a night time hip-hop club. Motivation Church attracts younger people. If you are over 55 you may be the oldest person attending. The pastor and churh vibe there is awesome. And the singing is surberb! Morning Star Baptist Church sits on a big hill overlooking Blue Hill smack dab in the hood. You can watch live broadcast online and listen to live services. The Bishop John M. Borders, III, is Senior Pastor. 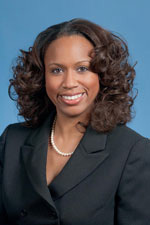 The construction management company who helped build it is profiled on our black business page. Bethel AME Church in Jamaica Plain is on Walk Hill Street. I seem to always be passing by Bethel marveling at its classically serious wood front door, stone and and beautiful architecture. The Presbytery of Boston church directory lists Afro-American, Hispanic, Taiwanese and Korean churches within a 40 mile radius of Boston. St. Stephens Episcopal Church is located in the South End across from Washington Park. Vicar Tim Crellin and Director of Youth Programs Liz Steinhauser are some amazing people. I've worked for them a number of years. Installing the first WIFI and downstairs computer lab, file server and extending the network beyond the front office, I've spent many hours there and know its a quality church and South End community center. Holy Tabernacle Church on Washington street Dorchester is next to Muhammad's Mosque No. 11. in Roxbury a few doors down. Holy Tab church is a major community influence with a beautiful interior and one of the most dedicated media production volunteer staffs you will ever find in a black church. And the music made there is amazing and the service is too. The church operates a really important food pantry for the neighborhood. 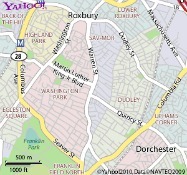 Its location is beside the Jermiah Burke High School in Dorchester. St. Paul AME Church in Cambridge, MA is located in Central Square. A Rev. 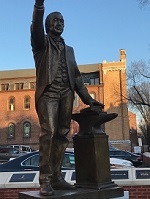 Jeffrey Brown, who was selected to the leadership of the failed Boston Olympics Committee and has been go to for politician seeking to the black church community is connected to St. Paul. A.M.E church. Charles Street AME Church, Roxbury in the Grove Hall section in Boston at the Roxbury Dorchester line is one of the oldest churches around. Charles Street AME (CSAC) is an education - conscious congregation located at 551 Warren Street Roxbury, MA 02121. The pastor received an appointment to the Boston School Committee by the mayor in 2007 and left the position in 2013. United House of Prayer Church ( web site ) has multiple locations in Greater Boston. It has a beautiful building of worship and food kitchen across form Franklin Park on Seaver St., right around the corner from NCAAA - the National Center of Afro-American Artists museum. The restaurant is known for its soul-food cuisine. 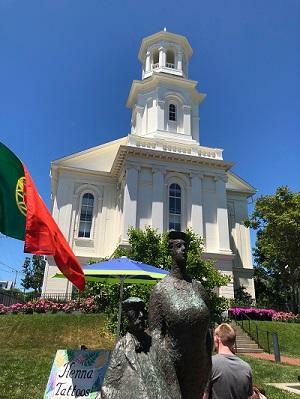 Nigerian churches in Boston - Nigerians worship in Boston and different churches In Randolph, Boston's sister majority Black city, Africans purchased their own building in Crawford Square for religous and community services. 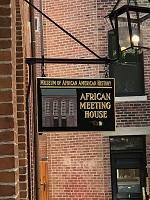 African Meeting House Church of Beacon Hill boosters the black history museum on the site. 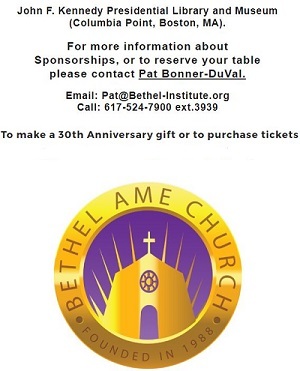 Churchline.com has is a very good directory of Black Boston churches, events and advertisements from black churches in the areas. This section is available for your advertising.